SACRE is a revisited version of the piece originally created by Emanuel Gat to Stravinsky’s eponymous score back in 2004. A work for three women and two men, SACRE takes apart the mechanics of cuban salsa dancing, and reassembles them to create a complex and dramaturgically charged choreographic score. A free spirited and challenging reading of Stravinsky’s masterpiece, SACRE offers no notions of sacrifice, but rather a multitude of options for action. 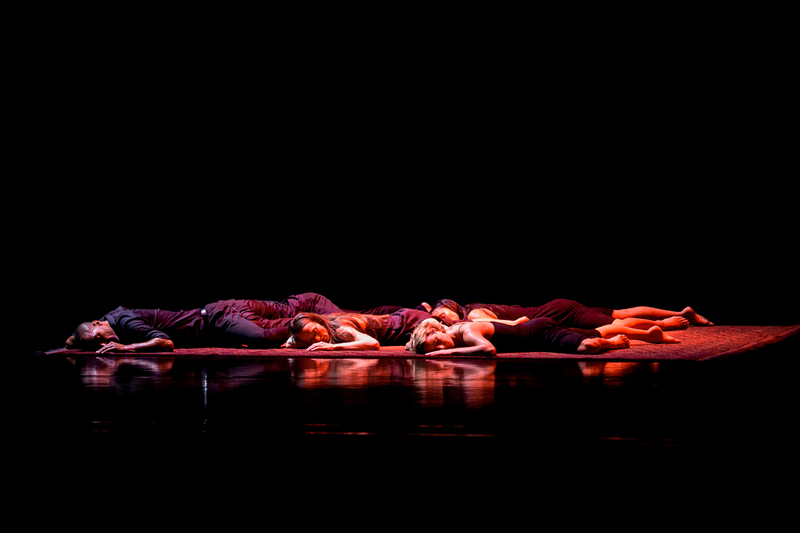 These five dancers move through Gat’s simmering, undulating salsa steps in crimson light that enhances a red rug defining the action hotspot while adding a note of domesticity […] they weave the movement crisply and fluidly to the recorded orchestration of Stravinsky’s score. It remains a hypnotic, inexorable ritual driven by primal instincts. Produced by Emanuel Gat Dance. 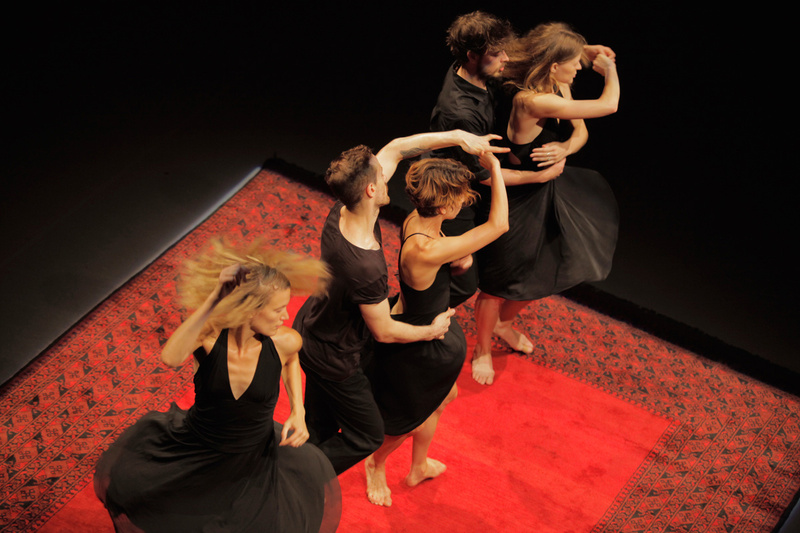 Co-produced by Suzanne Dellal Centre Tel Aviv, Festival Uzès Danse and Monaco Dance Forum. With the help of the Dellal Foundation, Théâtre de l’Olivier Istres, Ballet Monte-Carlo and the Foundation of Philippe de Rothschild.